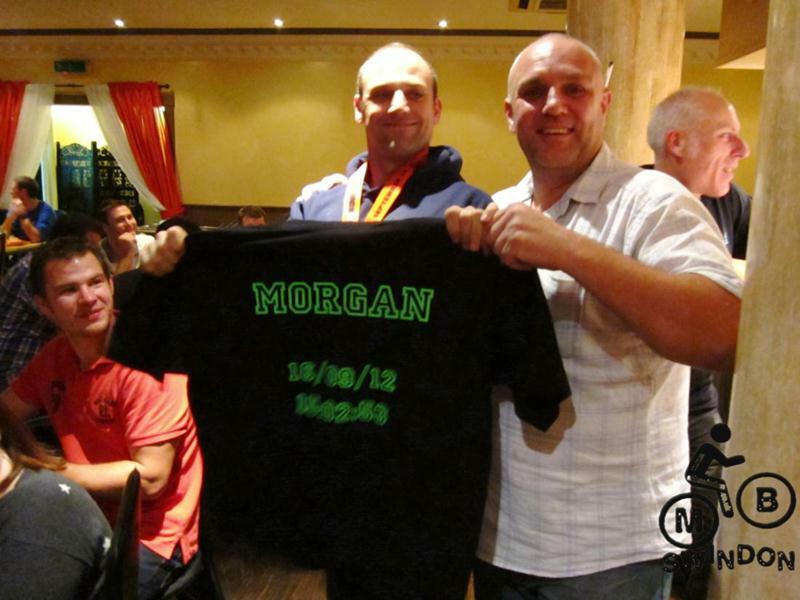 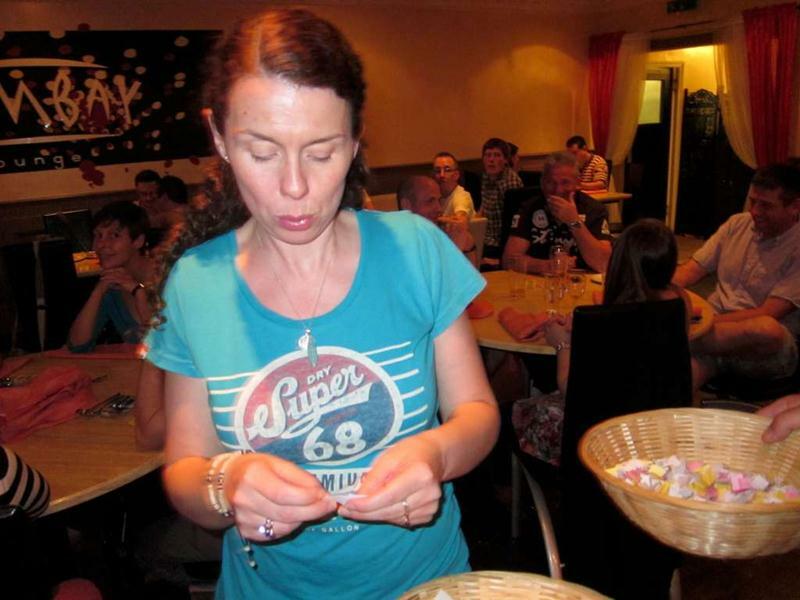 Photos from our fund raising curry night. 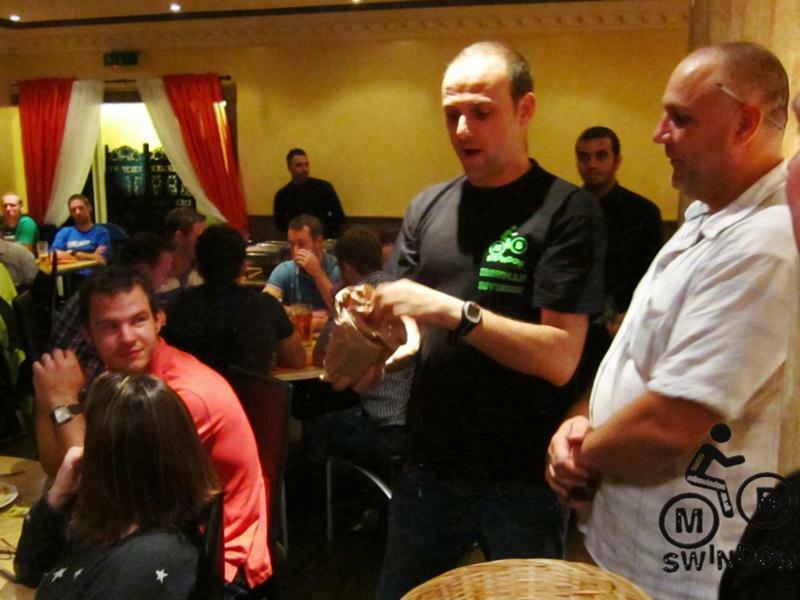 Prize winners list here. 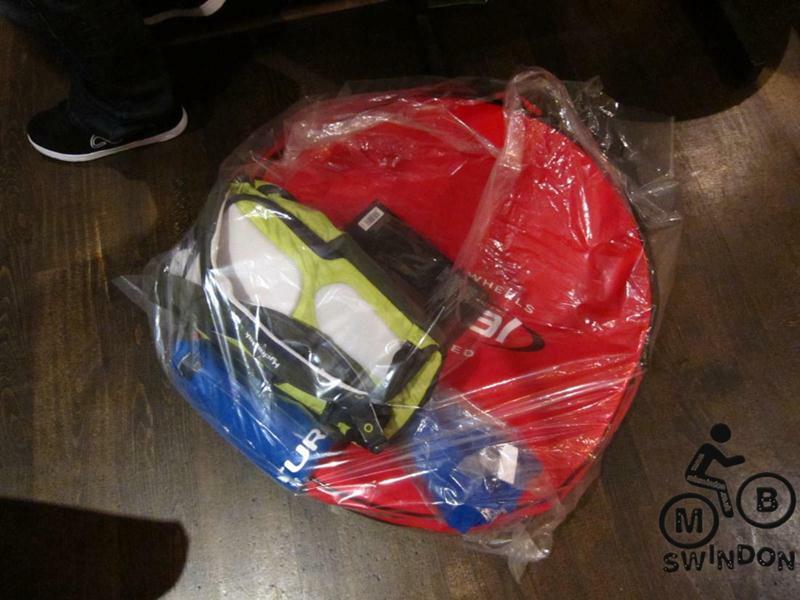 Raffle list. 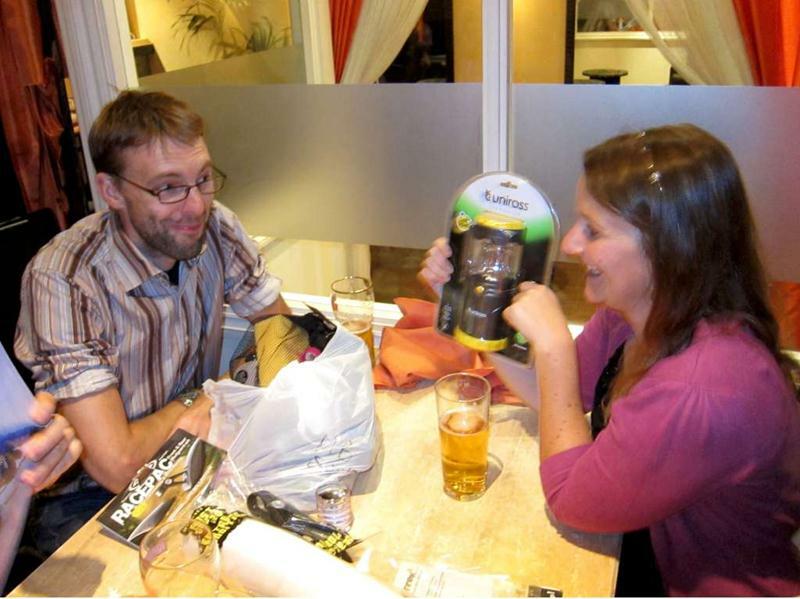 There were also bonus prizes from Fetish bike company and Hargroves (large bag with extra items in it). 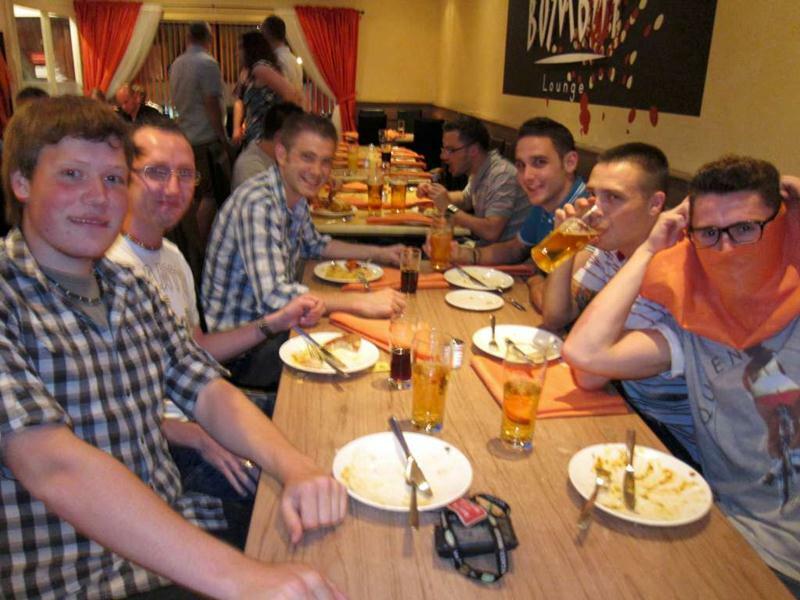 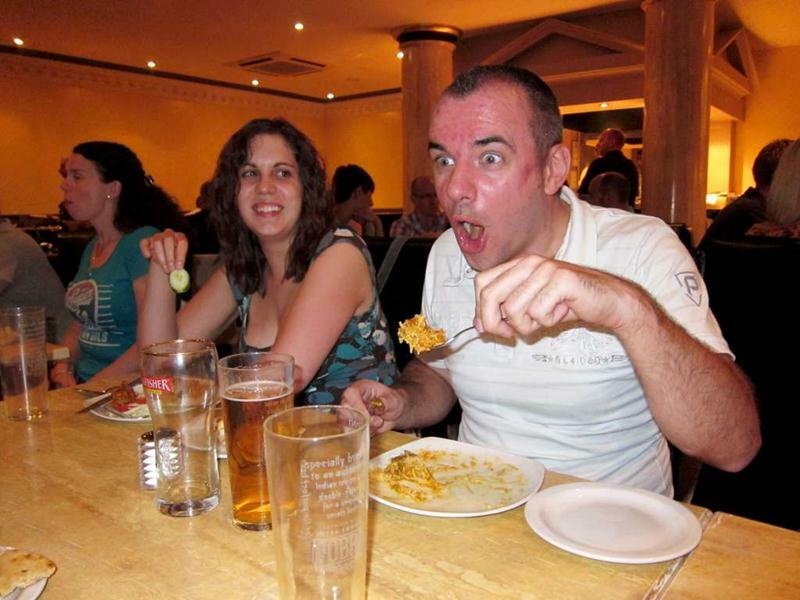 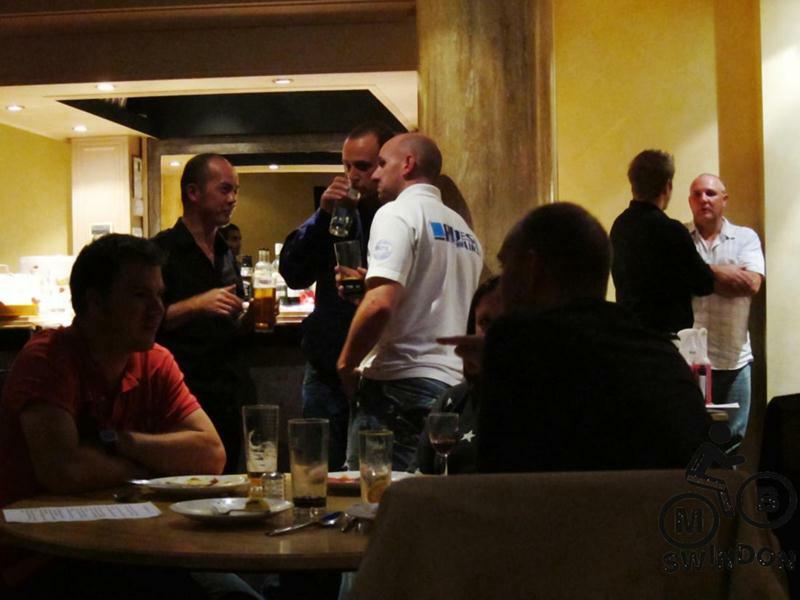 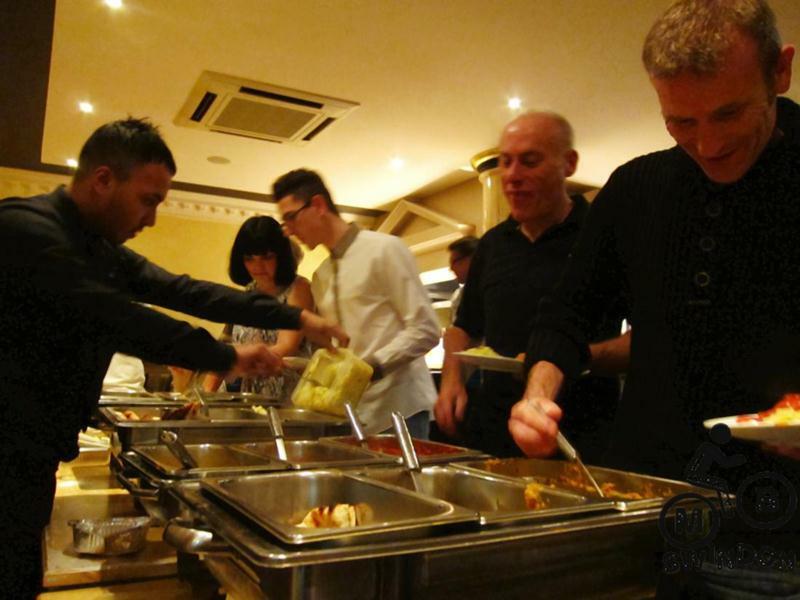 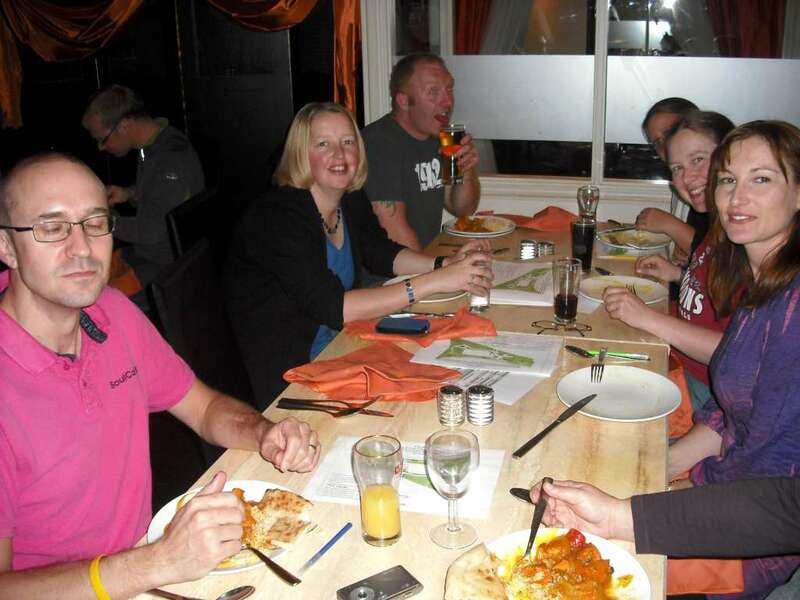 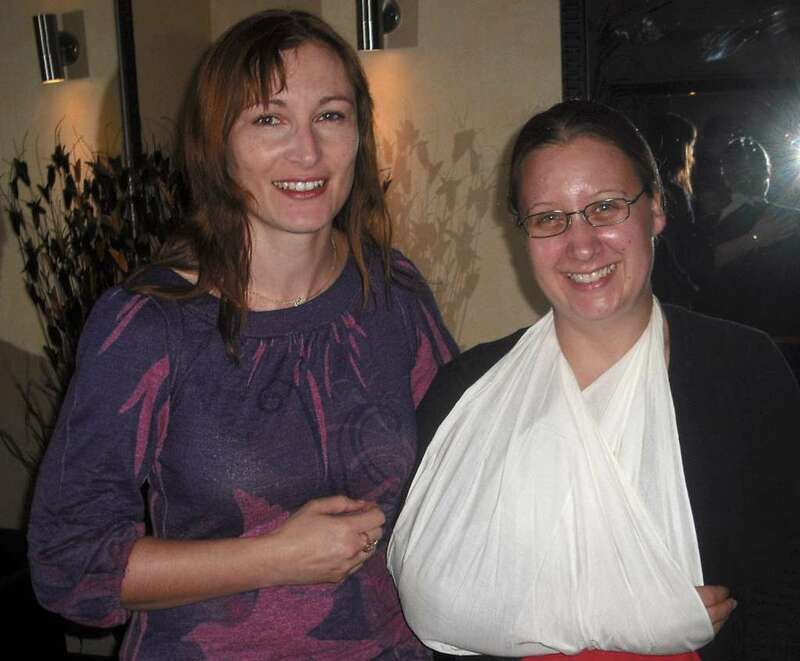 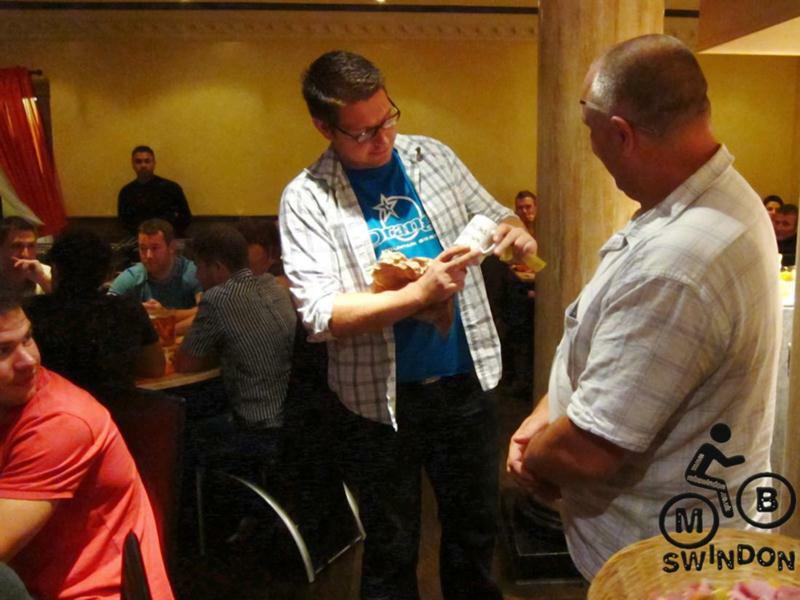 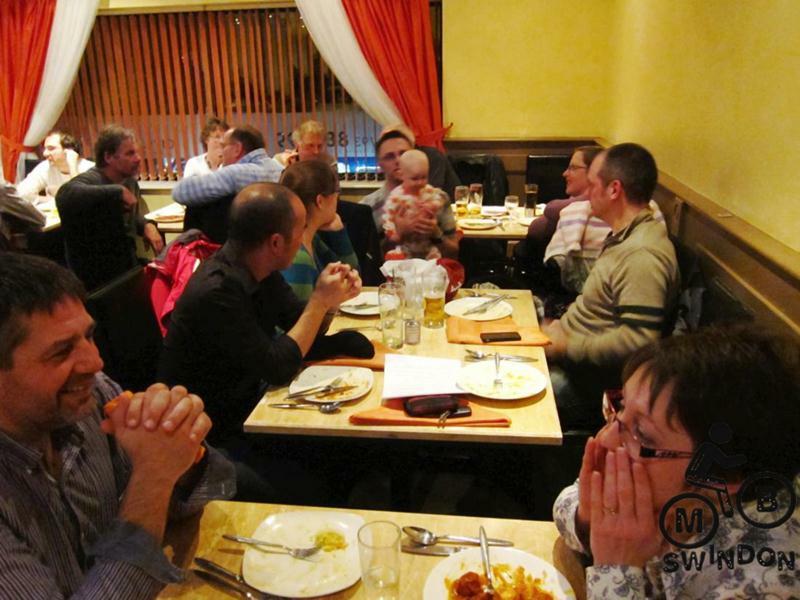 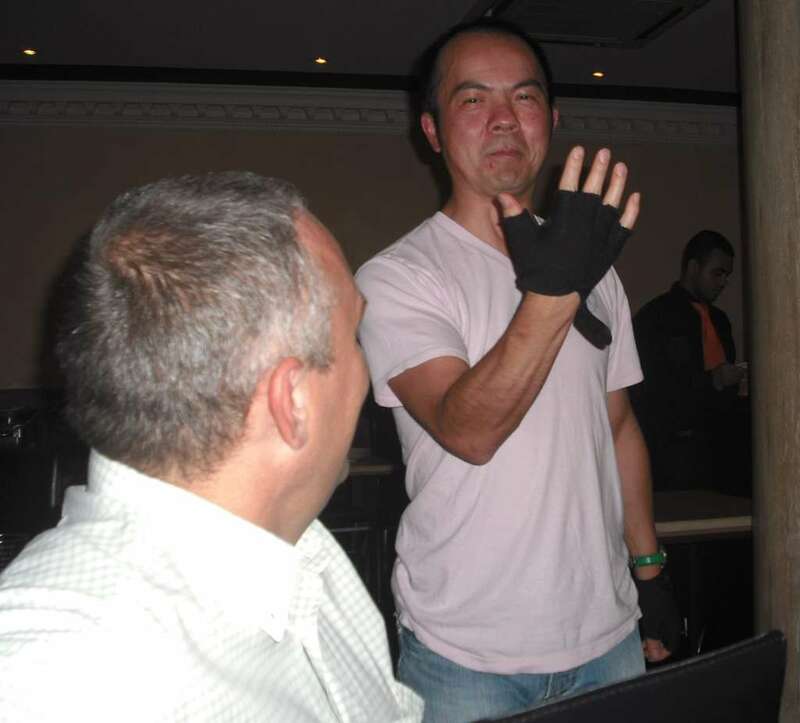 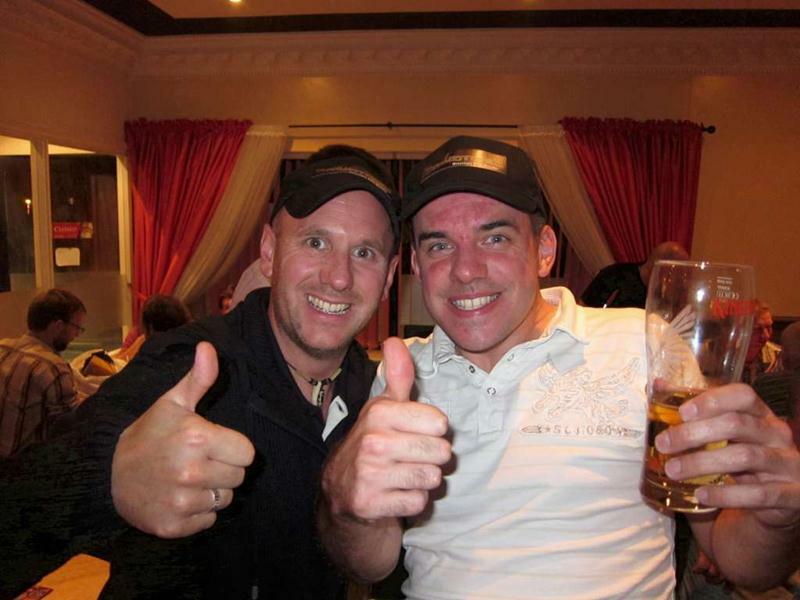 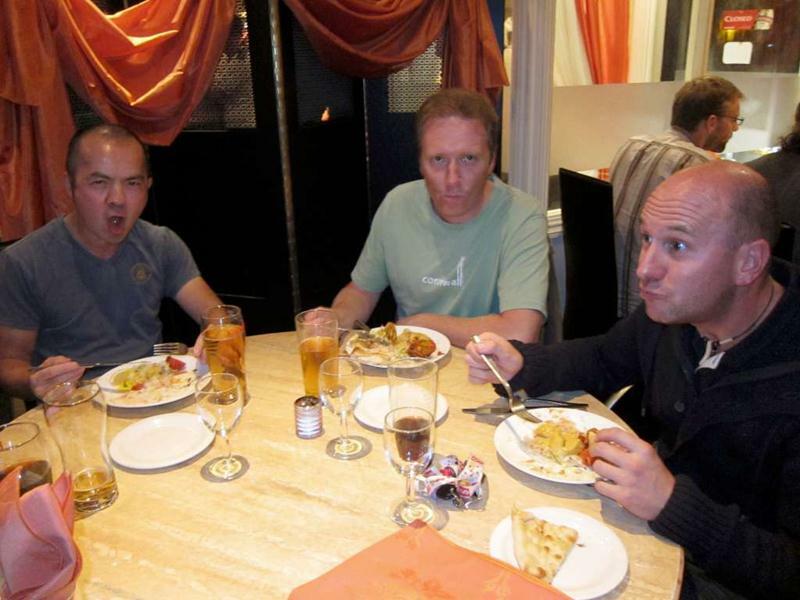 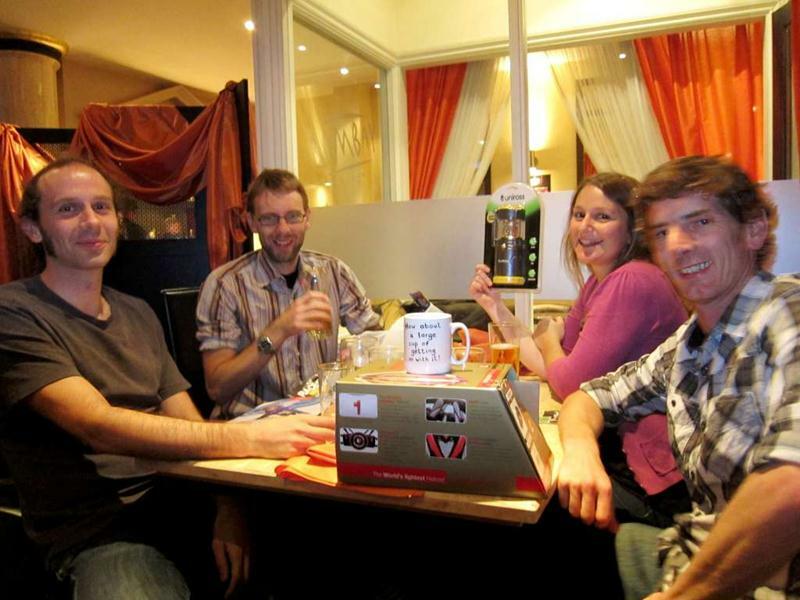 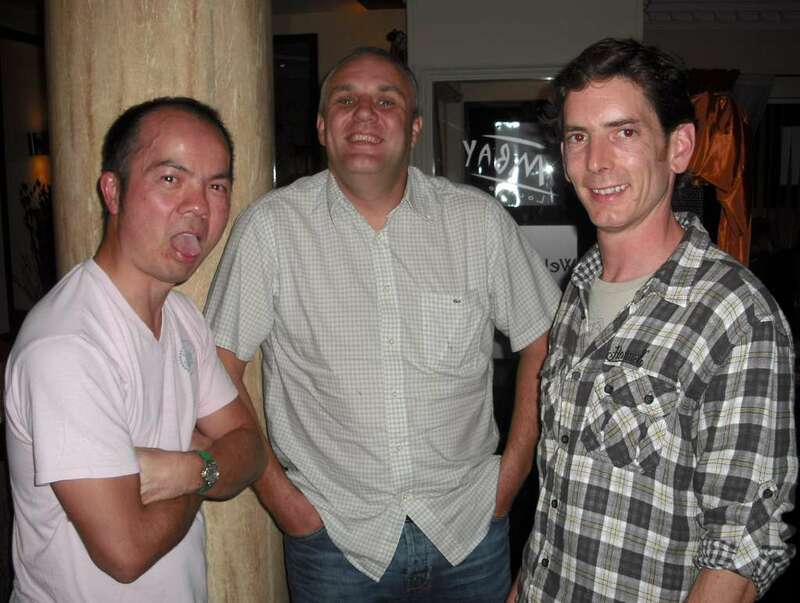 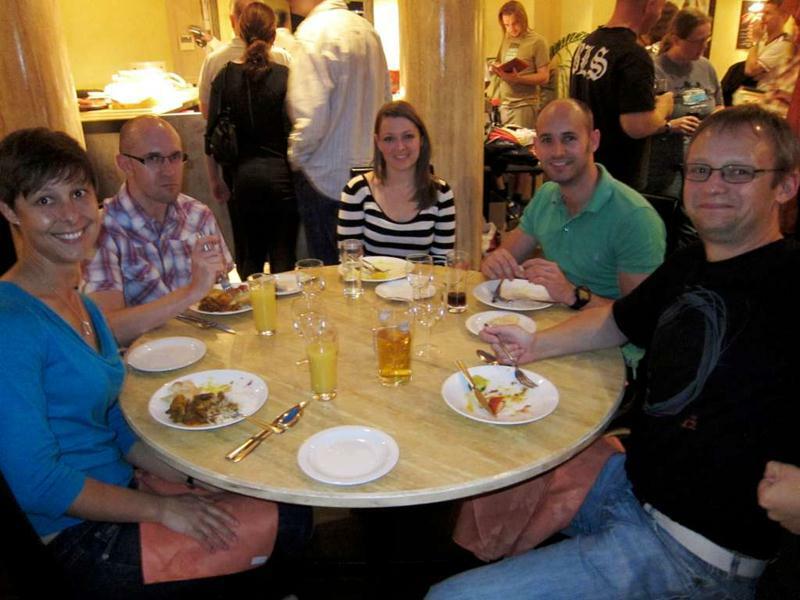 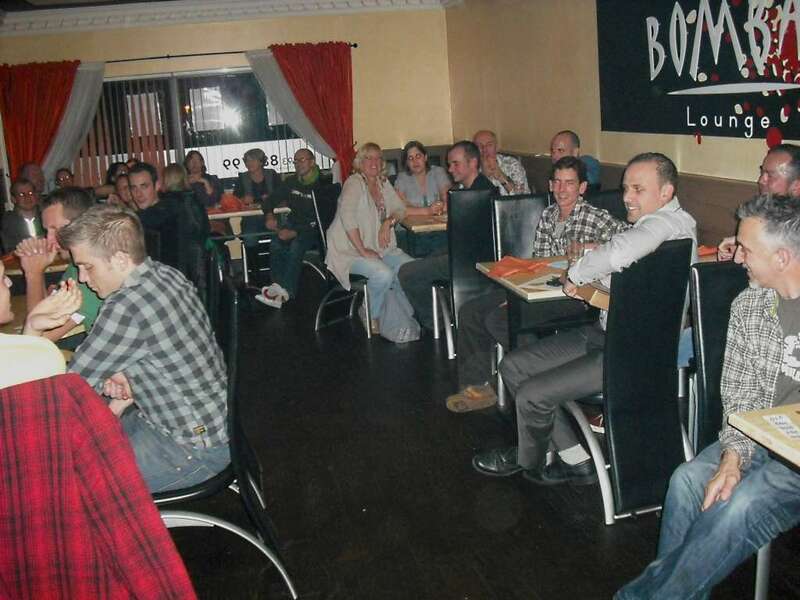 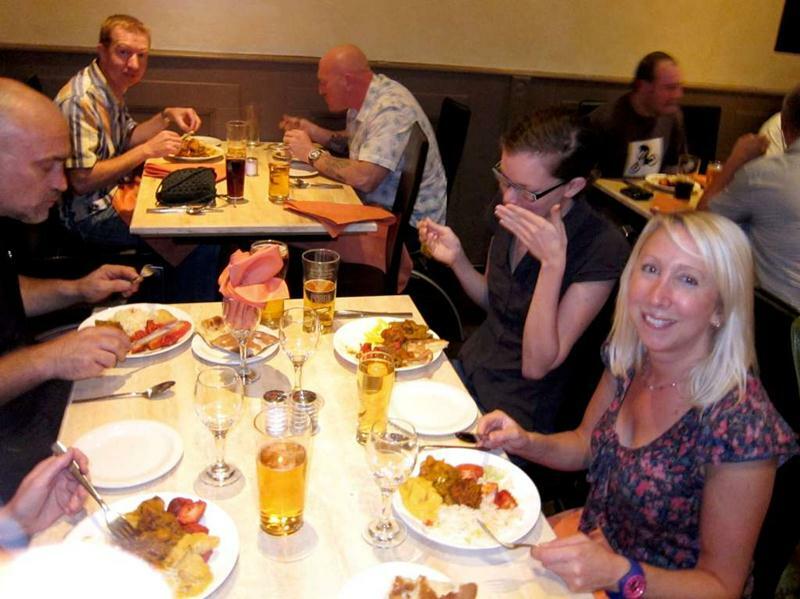 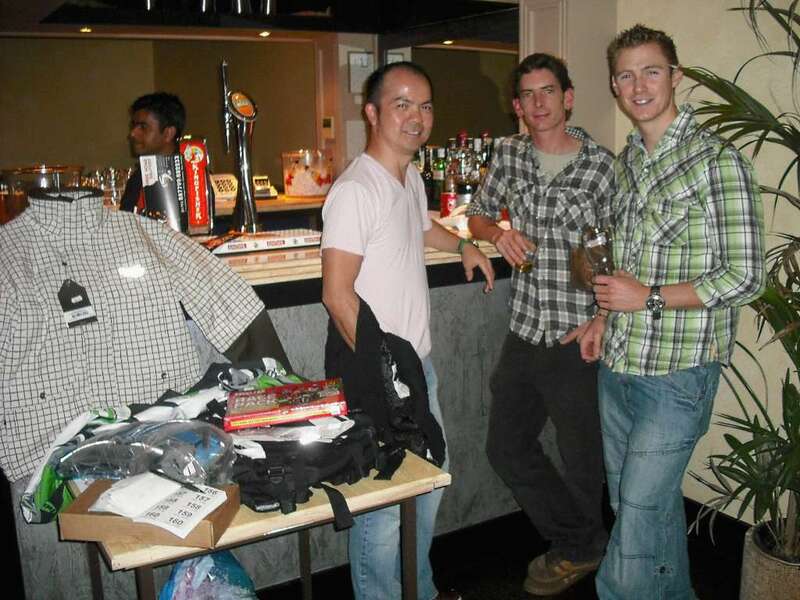 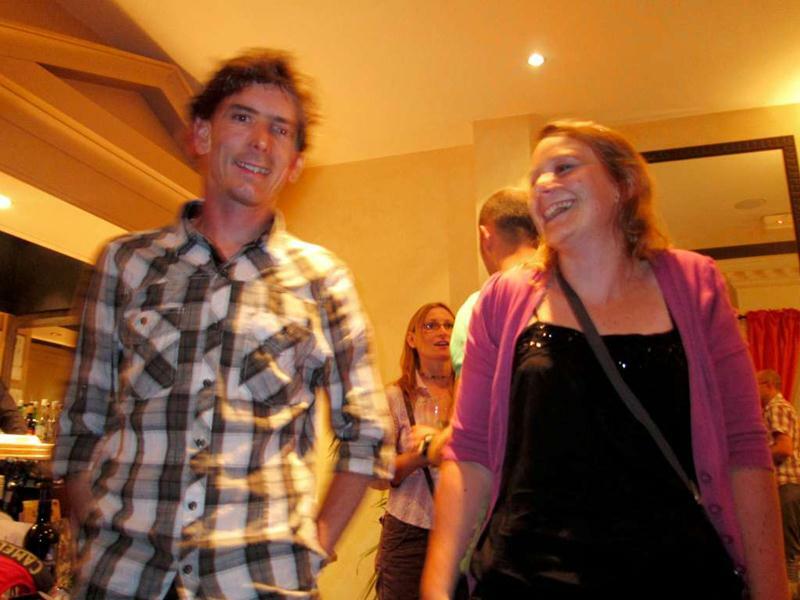 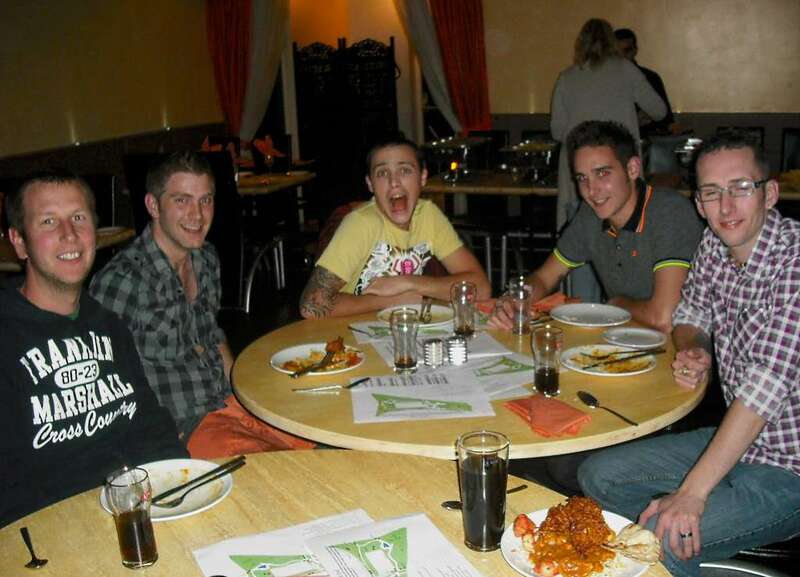 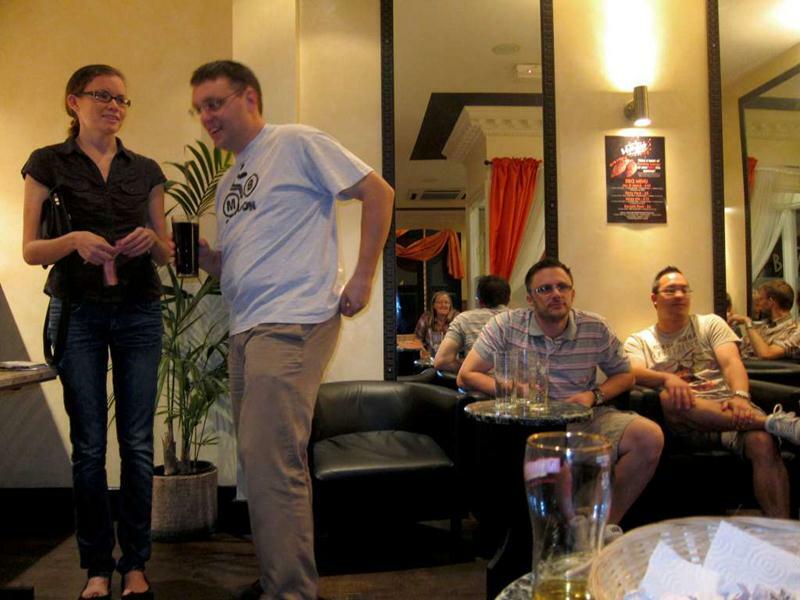 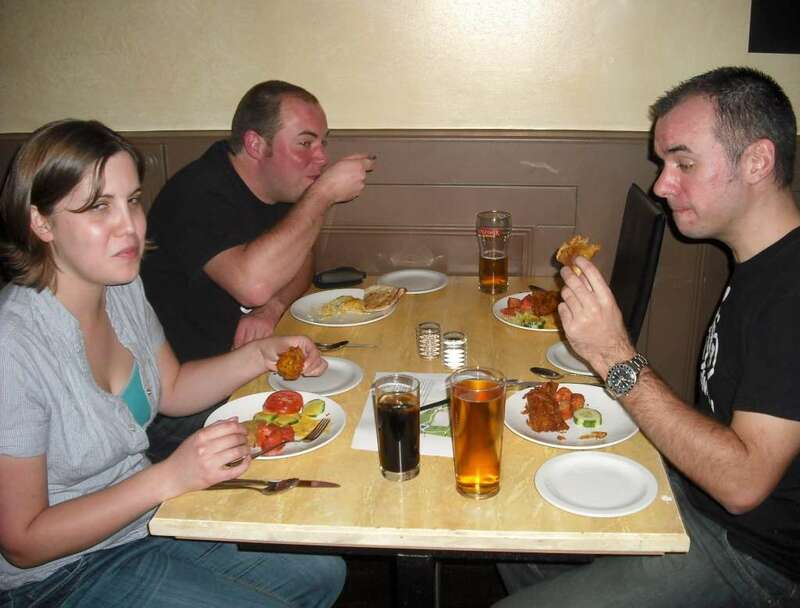 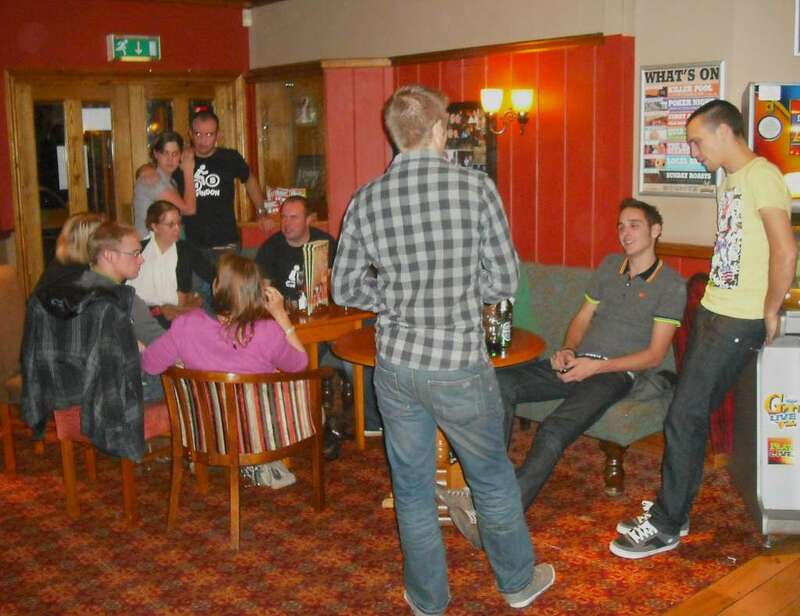 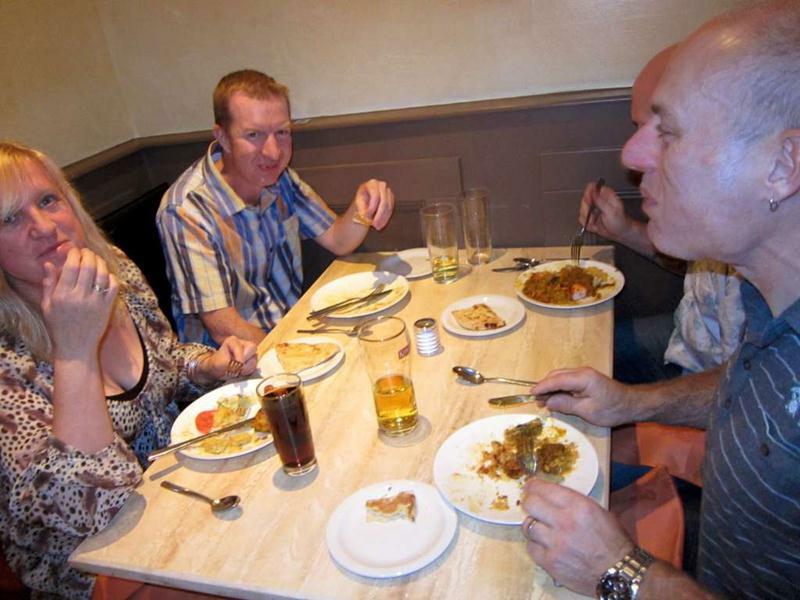 This was our second fund raising curry night (See the photos from last year). 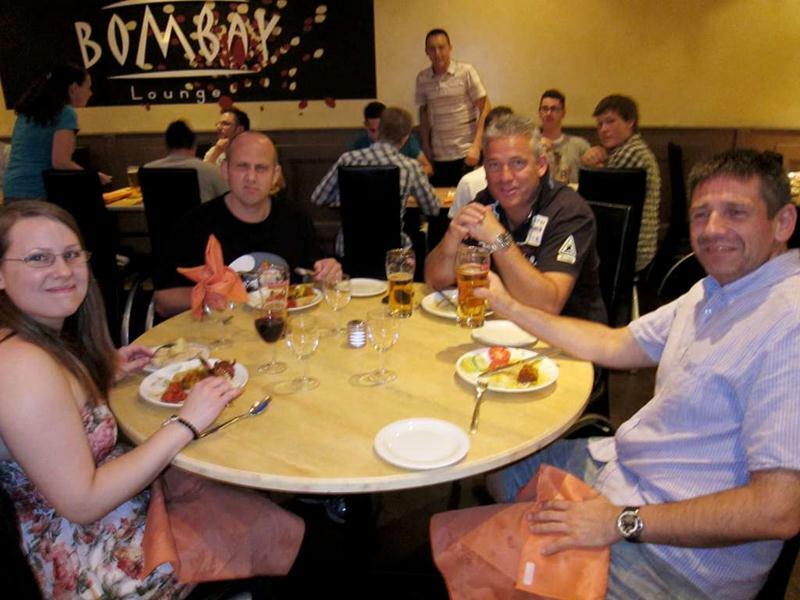 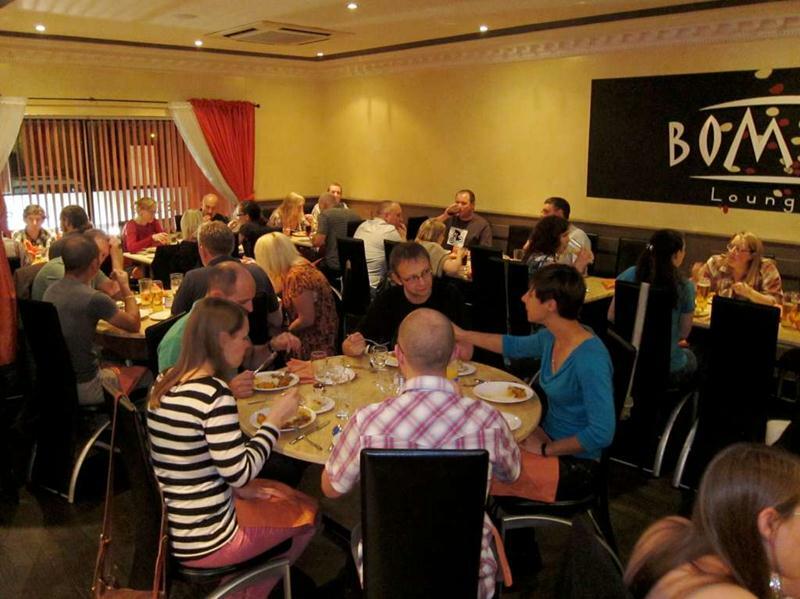 The Bombay Lounge restaurant (at Peatmoor) and Swindon Link magazine offer community groups, charities and good causes the chance to raise money whilst enjoying a great curry. 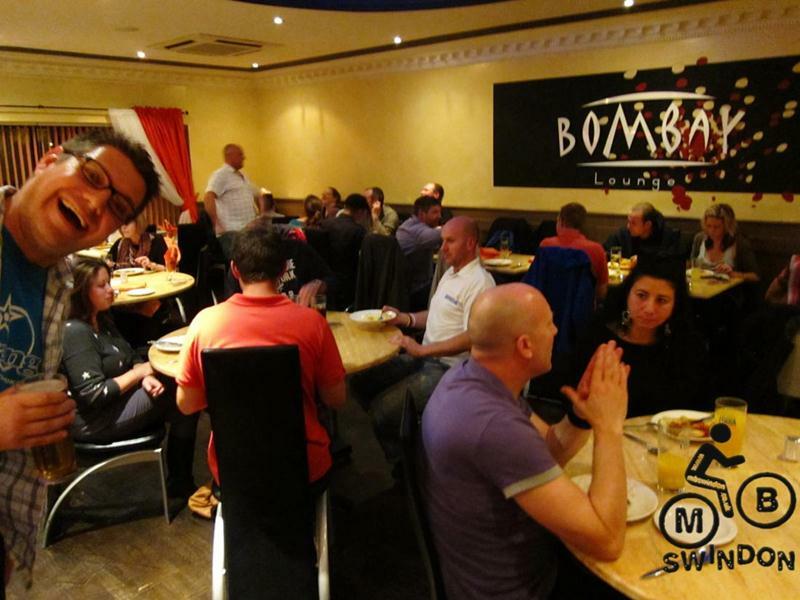 The owner Hanif donates all profits from the night to the club. 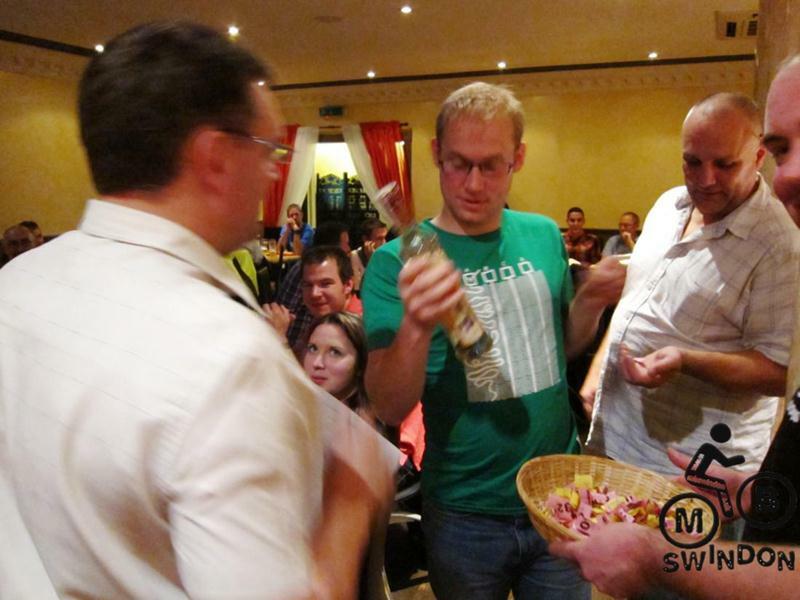 We also held a raffle. 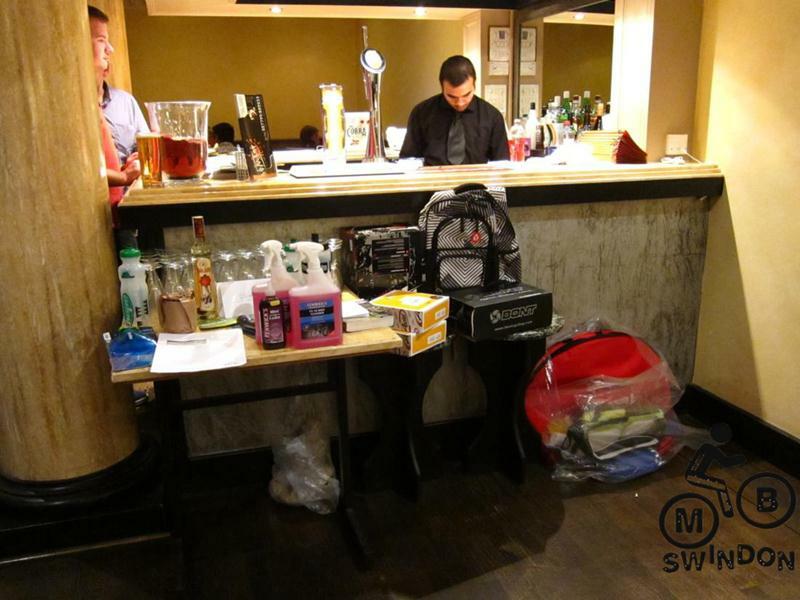 We sold a lot of tickets on the night, aided by the prizes that were generously donated by supporting companies, generally those who offer club members a discount. 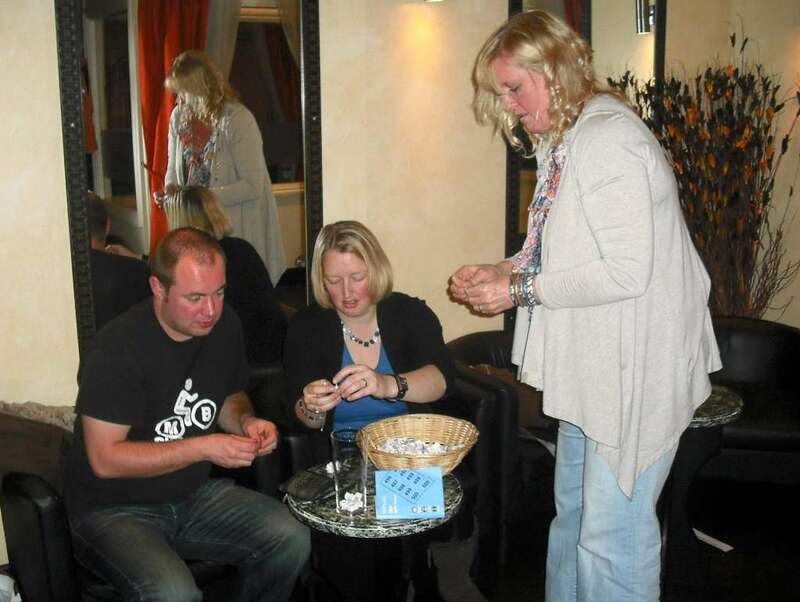 There were 43 prizes and with around 50 people present it was almost one prize per person. 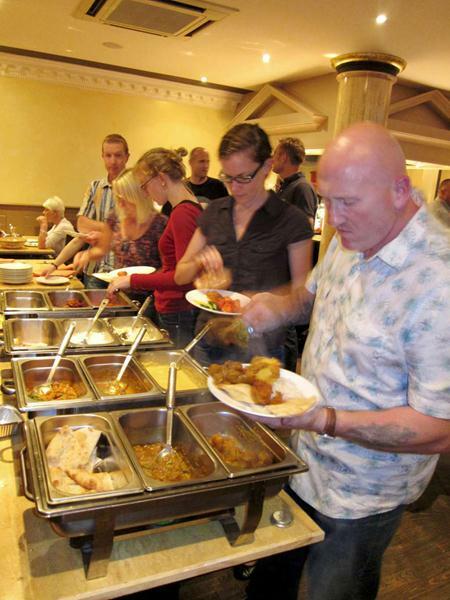 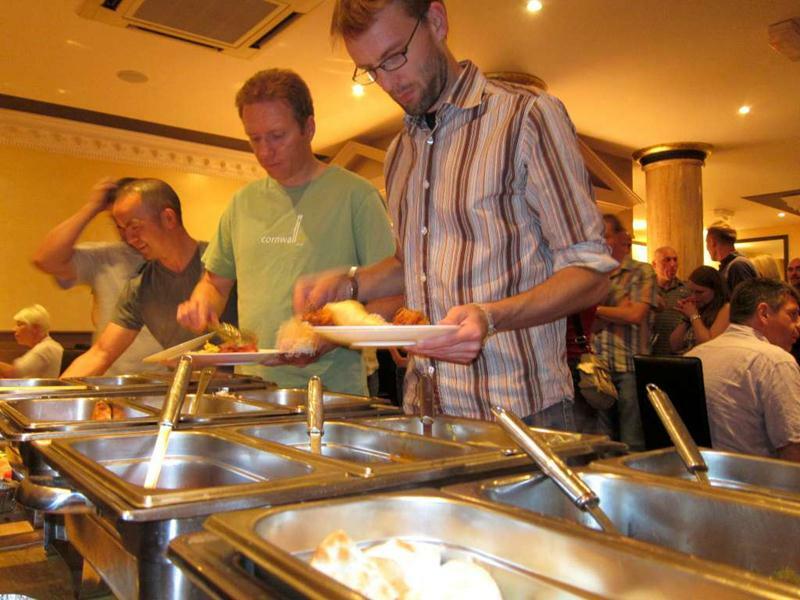 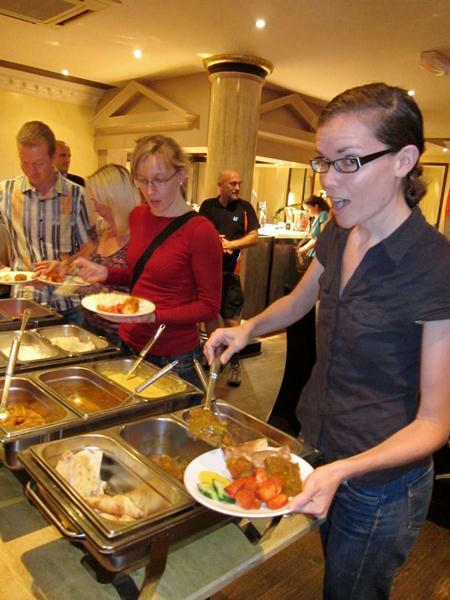 The event took the format of an “all you could eat buffet” for £12.50 per person. 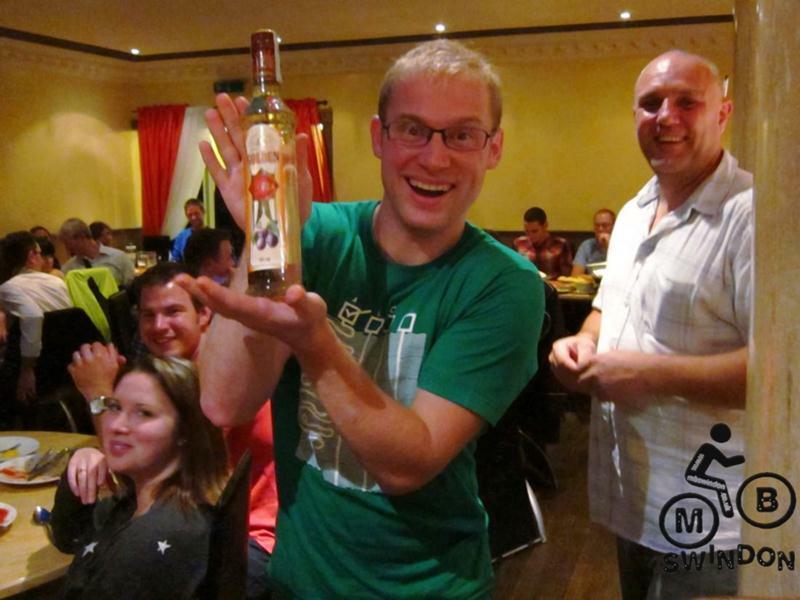 Botle of red wine MBSwindon Callum? 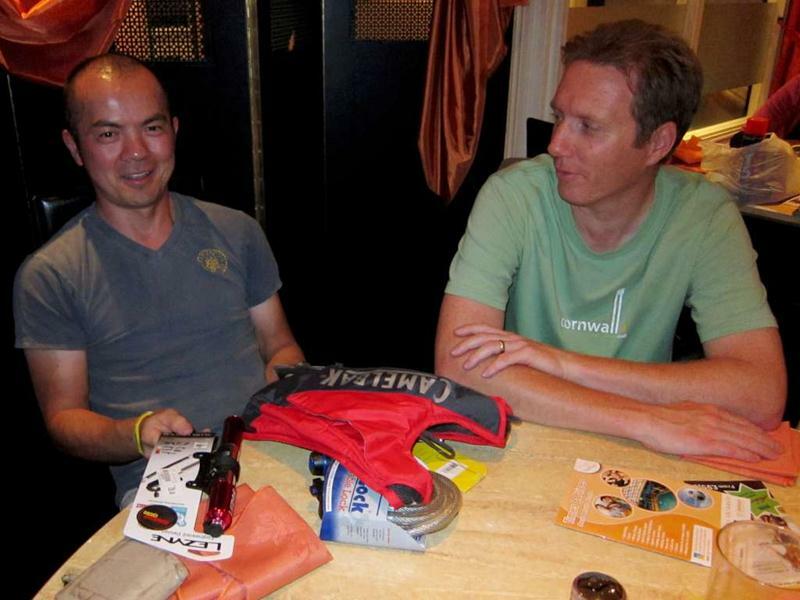 Hi Viz reflective bag tags Noah’s Ark Cycles Pete Latham? 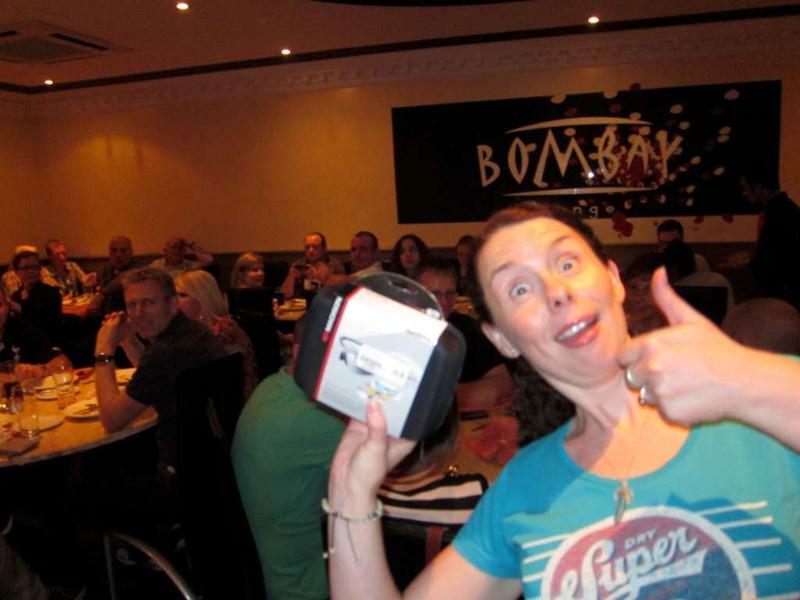 Our fund raising curry night raffle has gained a few more prizes! 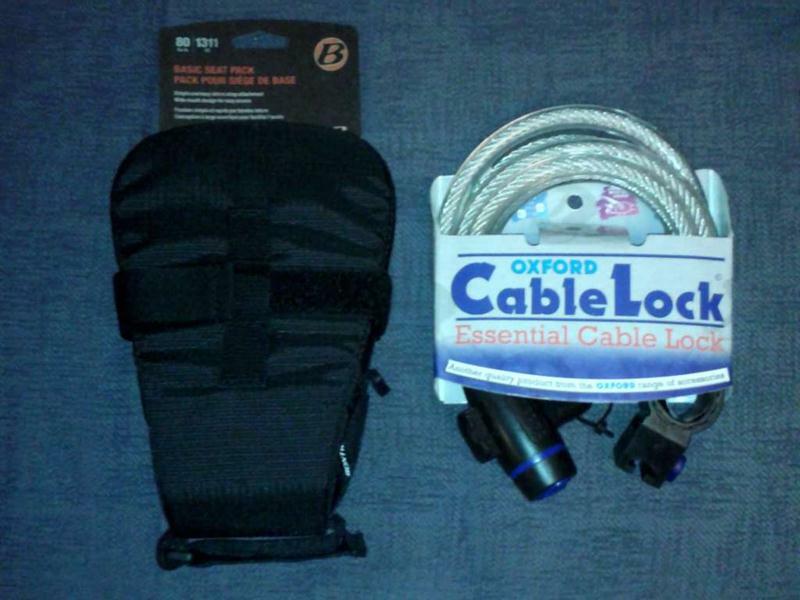 Total Bike in Swindon have donated two more prizes: a Bontrager seat kit and an Oxford cable lock. 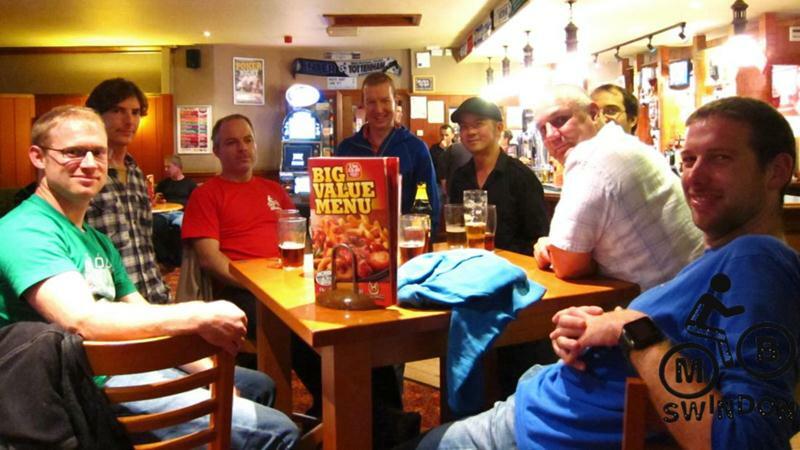 Google Map for Total Bike’s location in Swindon. 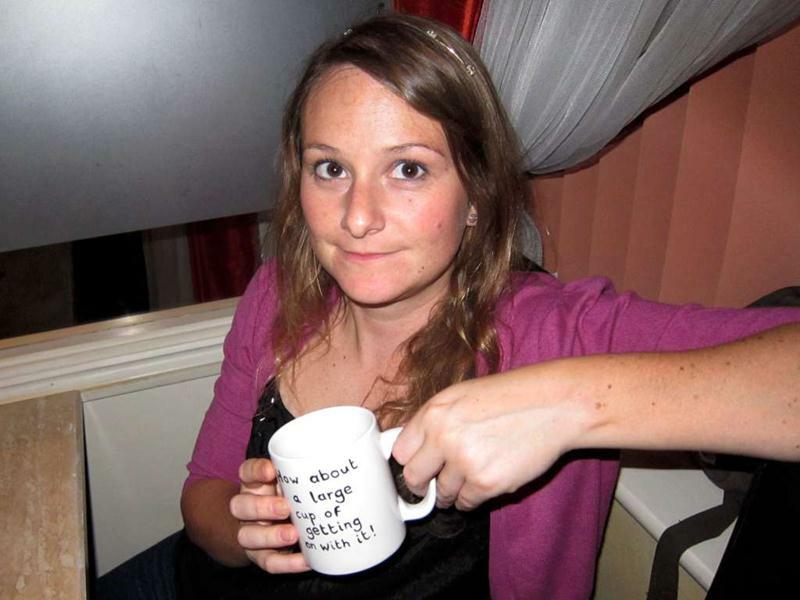 Kat Beeston has added two MBSwindon mugs to the list too. Noah's Ark raffle prize donations. 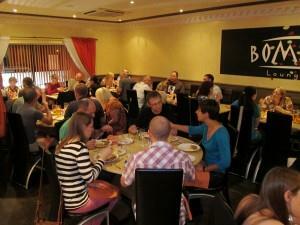 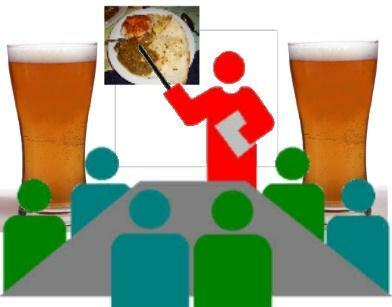 We’re holding a fund raising curry night on Monday 3rd October. Noah’s Ark bike shop in Stroud have donated the following for the raffle. 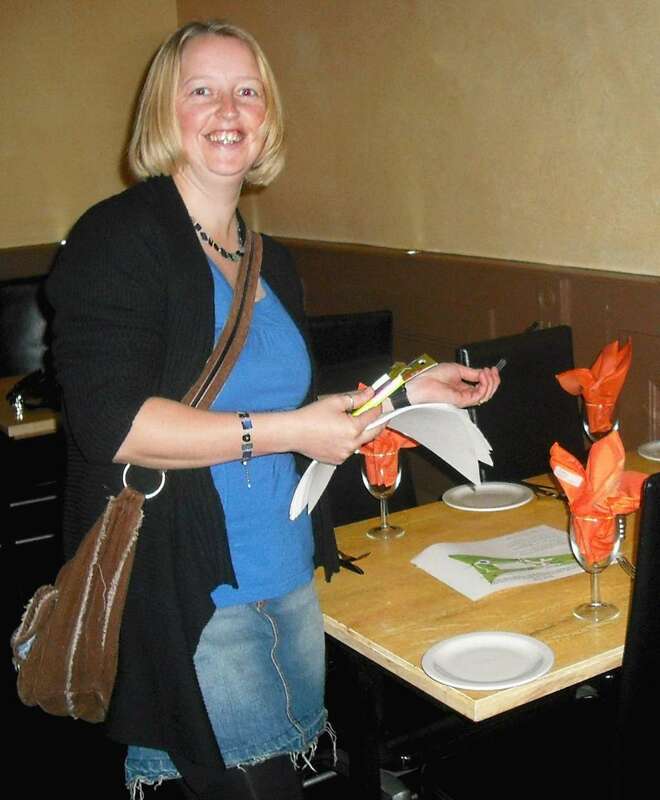 Also new today is a £40 coaching session with Kate Betts who is based near Afan and Brechfa trails. 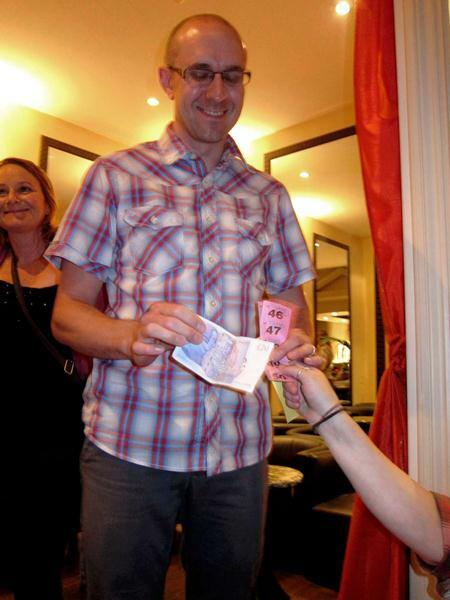 Tickets are available for cash at events. 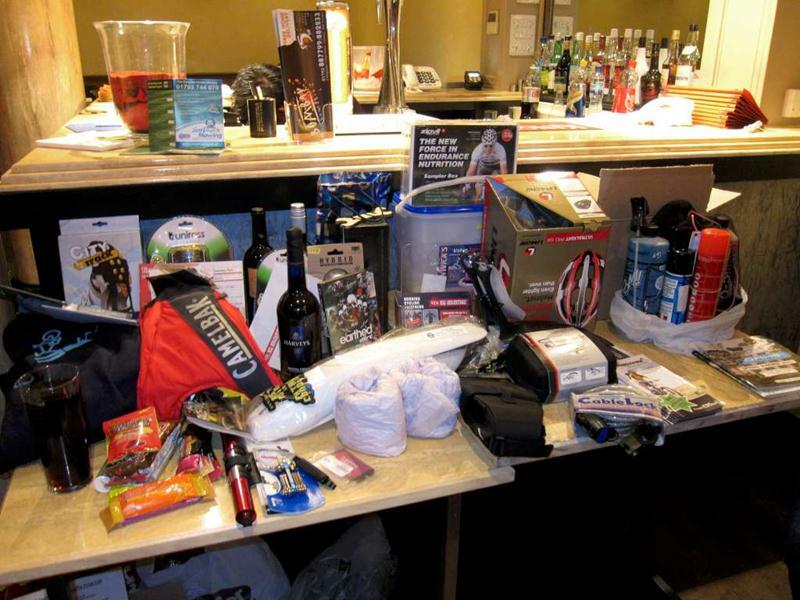 Noah’s Ark raffle prize donations. 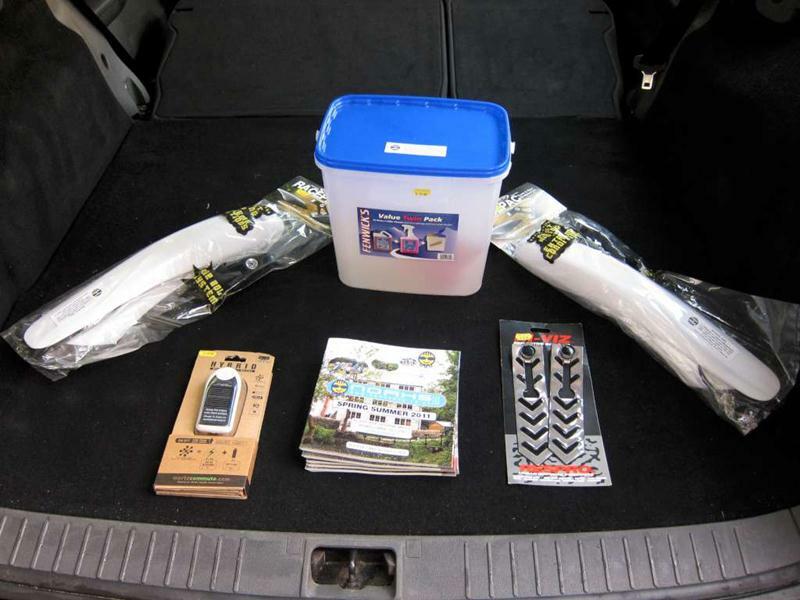 Noah’s Ark raffle prize donation.